Duc de Richleau and friends in a WW2 espionage adventure. When the Second World War opened, the Duke de Richleau and his friends Simon Aron, Rex van Ryn and Richard Eaton–the indomitable four–were in Poland. Here is the story of how they came to be there and found themselves even before the outbreak of hostilities involved in a most damnable conspiracy. 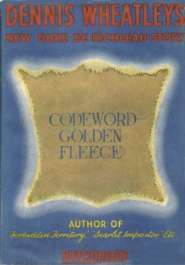 In Codeword–Golden Fleece the scenes of intrigue, violence and escape in Warsaw are exceeded only by those which follow in Bucharest–whence the friends are carried in a desperate attempt to sabotage Hitler's war economy and force Germany to ask for peace before she can muster her full might for an assault on Western Europe. (1963 Arrow): It can now be revealed that the plot of Codeword–Golden Fleece is based on fact. Actually, it was given to Dennis Wheatley when he was a member of the Joint Planning Staff of the War Cabinet by a Foreign Office colleague there. On behalf of the Allied governments a French nobleman did actually succeed in acquiring a controlling interest in the Danube oil barges and their tugs. The Germans failed with the Vichy government in an action for its return and half the Fleet had been got out to Turkish waters. Supplies of fuel for the Luftwaffe were seriously crippled by this ingenious secret stroke. Come Into My Parlour is the fifth of seven volumes incorporating all the principal events which occurred between September, 1939, and May 1945, covering the activities of Gregory Sallust, one of the most famous Secret Agents ever created in fiction about the Second World War. 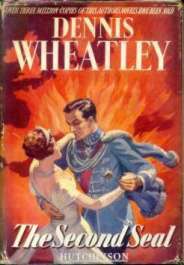 Much of the action of the story takes place inside the Soviet Union, commencing with Russia entering the war against Nazi Germany. 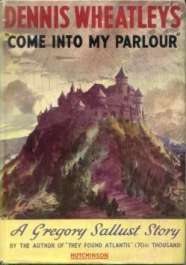 There to counter Gregory's plans is his arch-enemy, Gruppenführer Grabber, as anxious as ever to settle the long-standing score which has existed between them, and as plot and counter-plot carry the story to a Swiss lakeside villa, the final scenes are played out in a sinister castle situated deep in the heart of a German forest. . . . 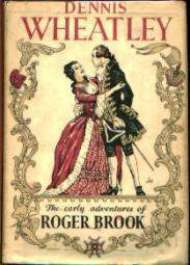 This is the first of Dennis Wheatley's famous historical series in which appears the young man who was afterwards to become Prime Minister Pitt's most resourceful secret agent: Roger Brook. 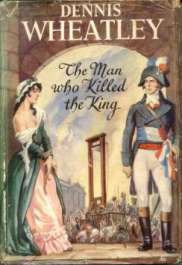 The scene is the England of George III and the France of Marie Antoinette; the tale is that of the tall, blue-eyed Roger, who set out to seek fame and fortune in the year 1783. He might never have set out at all had it not been for that ravishing creature, the wicked Georgina Thursby, and he most certainly would never have been involved in the secrets of French foreign policy had it not been for the fair Athénais de Rochambeau; but once on the way, his adventures provide us with an immense variety of entertainment. 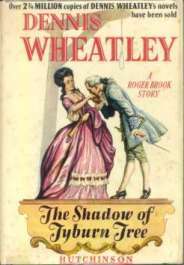 The Shadow of Tyburn Tree tells the story of Roger Brook–Prime Minister Pitt's most resourceful secret agent–who, in 1788, is sent on a secret mission to the Russia of that beautiful and licentious woman Catherine the Great. Chosen by her to become her lover, Roger is compelled to move with the utmost care, for if it was known that not only was he spying for two countries but also having an affair with the sadistic and vicious Natalia, he would meet certain death. How is it that during the past hundred years so little interest has been taken in the Devil's activities? 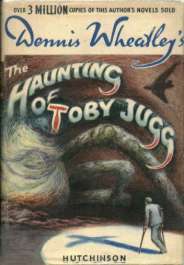 The Haunting of Toby Jugg suggests an answer. Woven into a tale of modern love and courage, of intrigue, hypnotism and Satan-worship, it propounds a theory that under a new disguise the Devil is still intensely active–that through his chosen emissaries he is nearer than ever before to achieving victory in his age-old struggle to become, in fact, as well as in name, the Prince of this World. At Fontainebleau all seems peaceful and serene; Louis XVI and Marie Antoinette secure on their thrones. 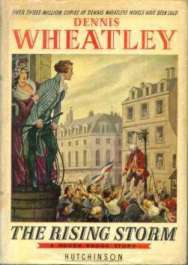 Yet as Roger Brook arrives on a secret and vital mission for Prime Minister Pitt, the smell of blood, of Revolution and the Terror is already in the air. 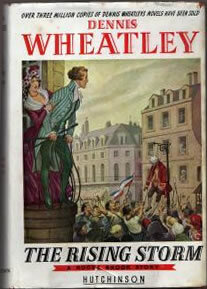 Intrigue, violence, suspicion – this is the maelstrom into which Roger is plunged at once. But with it: love. Isabella D'Arana is beautiful, Spanish – and married. Laws and conventions must be defied if he is to have her. Police and agents must be outwitted if he is to achieve his secret mission. Revised and re-issued as 'The Eight Ages. . . ' in 1965. 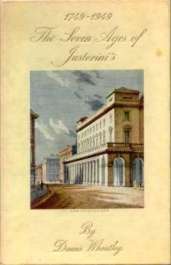 The text from this and the 1965 revision was later used in the publication 'The Nine Ages of Justerini's' for their 250th anniversary. See also: 'We move with the times' 1954. Spring 1914. At a masked ball, the Duke de Richleau has an intriguing meeting with a beautiful woman. An incident that was to lead the Duke into a series of desperate adventures as he became involved, firstly with The Black Hand, a Serbian, secret, terrorist society, and then, as a British secret agent, at the Austrian Supreme Headquarters. Finally, at the Kaiser's headquarters, he was to take a hand in the Battle of the Marne – the operation that shattered Germany's chance of victory. And through the violence, intrigue and hair's-breadth escapes, there runs also the story of a great love. 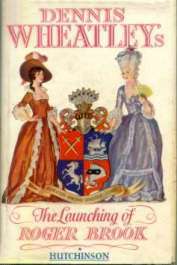 Contains ‘The Launching Of Roger Brook’ and ‘The Shadow Of Tyburn Tree’. The Man who Killed the King tells the story of Roger Brook–Prime Minister Pitt's most resourceful secret agent–during the Great Terror when more than a million people perished and the Terrorists found that the guillotine did not work quickly enough. This, the second phase of the French Revolution, opened with the storming of the Tuileries in June, 1792, and in the months that followed, the Liberals were mown down by cannon fire, drowned by the thousand, and flung back into the flames of villages burnt to the ground.